Part of the new 'Cask Finish Series' from Knappogue Castle. This single malt is non-chillfiltered, triple distilled and aged for a minimum of 12 yeaars in ex bourbon barrels before being finished in Marco de Bartoli Marsala casks. Limited to just 690 bottles and exclusive to the Celtic Whiskey Shop! Finish Finished in a Marco de Bartoli Marsala Cask. 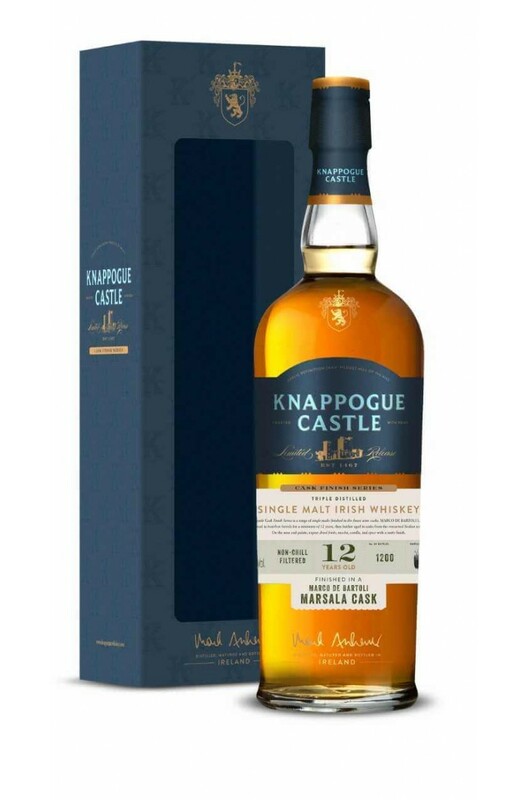 The first Knappogue Castle Single Malt to have an age statement. This is triple distilled in a North..
Knappogue 21 is a limited-edition single malt Irish whiskey, with only 1,200 bottles produced. First..
Part of the new 'Cask Finish Series' from Knappogue Castle. This single malt is non-chillfil.. Replacing the 40% version of the Knappogue Castle 12 Year Old Single Malt. This whiskey was the firs..